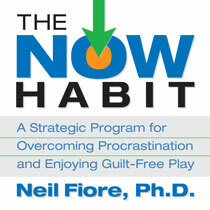 When I first saw The NOW Habit: A Strategic Program for Overcoming Procrastination and Enjoying Guilt-Free Play by Neil Fiore Ph.D., I judged it to be another rah-rah-just-do-it book. What a surprise… that was one of the first things I read in it – just do it doesn’t work. I was intrigued. The thing I really liked about the book was how Fiore breaks down the psychology behind why we procrastinate. What nobody seems to realize when feeling horrible about not getting things done is that there IS a reward to putting things off – otherwise we wouldn’t do it. It is a circle of overwhelming demands we put on ourselves – get overwhelmed, feel pressured, fear failure, try harder, work longer, feel resentful, lose motivation, procrastinate. We create problems and situations to prevent us from achieving a goal so that we have excuses for our fear or failure, fear of the unknown or even our fear or success. I know that last one first-hand because I found myself avoiding trying new things because of the success backlash former friends had given me out of jealousy in the past. 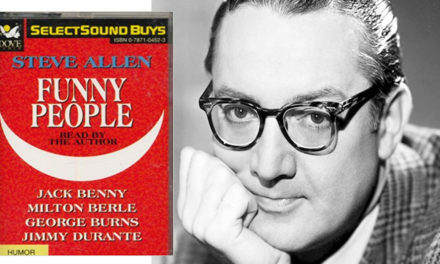 I was hooked on this book from the first few pages and stayed that way throughout. I recommend it to anyone that feels they are not accomplishing all they should, is feeling depressed about not living up to their personal ambitions or are frustrated by an inability to get everything done. More so than just a look at why we avoid accomplishing our goals, the NOW Habit doesn’t just talk about the problem but offers real ideas and practices to turn around the LATER habit. Again, I totally expect this to be just another self-help book but maybe it struck a personal chord but I cannot recommend it enough.